The SCISWA Landfill and Poweshiek Transfer Station both accept separated scrap metal for recycling free of charge. This is a great option for someone working on a temporary or small project or doing a quick seasonal clean-up. 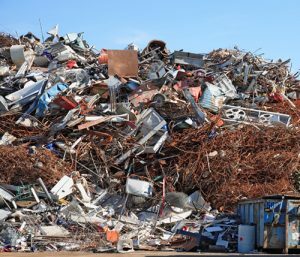 If you have a larger or on-going project or a lot of scrap metal, you may wish to contact a scrap yard that will pay for the metal you deliver.